Do any other budgets impact access to collections for the MU Campus? What else can faculty do? Our Head of Collection Development has finalized negotiations for new contracts for all of our major journal packages. In FY17, our subject librarians worked together and with faculty in their programs to complete a 20% cut to the subject assigned budgets. These cuts came from book purchasing or continuing subscriptions such as journals and databases. Lists of titles no longer part of our journal packages and titles cut from our subject funds can be found below. If you have questions, please contact the subject librarian for your area. The Collections Steering Committee implemented their decision to end approval (automatic or blanket) book purchases, as well as demand driven book purchasing from the MERLIN Catalog, which means that the libraries purchased significantly fewer book titles in FY17. Login to review the list of titles. Please read the legend at the top of the list. The list can be filtered by subject if that is helpful to you. Respond with your opinion on whether ILL could provide adequate support for your use of each title. An option to comment is available for each title as well. Deadline for input is May 30th. subject librarians are available to consult about lists or specific titles. We want to make every effort to keep titles that are the most critical to your work. Your input is essential! Please login with your campus ID/Password to view the lists of cancellations for FY17. The lists include journals (also newspapers and magazines), databases, memberships, and collections tools that have been recommended by the Collections Steering Committee for cancellation based on input from faculty and subject librarians. In most cases subject librarians have already consulted with academic departments and faculty liaisons that have responded to identify these titles. In addition to the titles listed here, the University Libraries are reducing book/one-time purchase expenditures by over $400,000.00 to help meet our goal of decreasing collections expenditures by $1.2 million this year. We have completed negotiations with Elsevier, Sage, Springer, and Wiley to reduce our expenditures on the journal packages that we license with these publishers. Faculty, students, staff, and librarian input was used to inform negotiations, but due to the size of the cuts that we need to make, we are losing titles that are important across the disciplines. See below for titles that we will lose from each package. 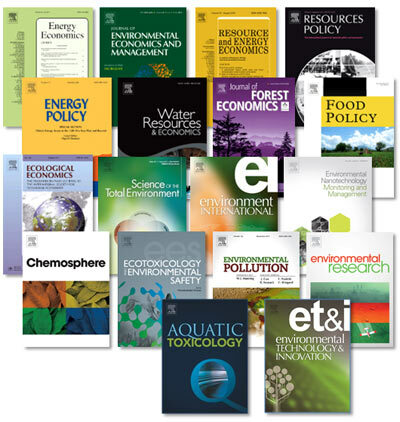 Note that we will not actually lose access to any Elsevier titles. However, many Elsevier titles will move to access only rather than permanent ownership by the University. We will be reviewing our Oxford University and University of Chicago journal packages during the spring semester of 2017 as steps towards preparing for an anticipated cancellation process in FY2018. Please direct questions about titles on any of these lists to the subject librarian for your discipline. Your subject librarian can provide you with more information about selected titles. Most cancellations will go into effect January 1st. If there is a serious concern and the funding situation can be addressed, it is sometimes possible to reinstate subscriptions to already canceled titles. Please remember that our collections budget has been and continues to be well below average for AAU public institutions. As a result, there is no choice but to include some highly used titles on the list of cancellations. As stated elsewhere, the University Libraries will continue to do our best to obtain needed material in a timely, cost-effective manner through our Interlibrary Loan services. To meet our expected collection expenditures without cuts in FY17, the MU Libraries collections budget would need to be $7.2 million. Our expected revenue (or budget for collections) will be approximately $6 million. To accommodate the shortfall, we will need to reduce our expenditures by 1.2 million or approximately 17% in FY17. The collections deficit is a result of both increasing costs for existing materials and the 5% budget cut. The total for the Libraries 5% budget cut is $877,000.00. The Libraries will address 70% of that budget cut by further reducing our operational (i.e. staffing) expenditures. The other 30%, approximately $250,000, will be cut from the collections budget. Most of the deficit represents the increased cost of books and journals over several years. In other words, it costs more each year to purchase the same amount of material and we are no longer able to come up with ways to cover these increases even with one-time funding. The Libraries will continue offering efficient, cost-effective Interlibrary Loan services. When new sources of funding are identified, the Libraries will work with the campus community to re-build the collections. No disciplines or collections types can be exempt. Usage will be one factor, but not the only factor when considering cancellations. Access will be prioritized over ownership. ILL will remain an effective, efficient means of acquiring materials not held by the Libraries. Transparency will be a priority. The Libraries have received generous support from IT to help support collections. Therefore IT budget cuts can impact the Libraries. For FY17, the collections funding from IT will be lower by $38,898.00, or approximately 7%. The MU Libraries manage a shared four-campus collections budget of over $2 million. We participate in an annual process to cut resources funded from this budget due to price increases. In many cases, individual campus libraries have had to begin paying for resources cut from this budget, creating additional pressure on the campus-level library budgets. Thank you to the following academic units for helping to support campus access to high quality materials in their fields by partnering with the Libraries to share costs or by providing gift funds to support purchases. In FY16, librarians at all four UM campuses have participated in a process to address the $100,000.00 MERLIN budget deficit for FY17 by not renewing subscriptions to the databases listed below. A flat budget combined with escalating database costs, makes this the latest in a series of electronic resource cuts dating back over 10 years and amounting to over $1,000,000. For MU to keep access to any of these we will have to make further reductions elsewhere. The Law Library will continue to provide Congressional for Law for the Law School. Avery Index to Architectural Periodicals – saved with one-time funding for one year while we assess how to fund a subscription. Ovid Users – reduce number of users by 10 to 23 concurrent users. ATLA (American Theological Library Association) Religion Database – saved with one-time funding for one year while we assess how to fund a subscription. Proquest Congressional for Law – The Law Library will continue to provide this for the Law School. In March – April 2016, the Libraries worked with the Campus Library Committee to share a list of lesser used titles in our Elsevier and Wiley journal packages to the campus community with a request for feedback on their value to research and teaching. Over 900 community members responded. Our Head of Collection Development will use the information gathered to negotiate new contracts with Elsevier (current spending is over 1 million) and Wiley (current spending is over $750,000) in Fall 2016. The negotiations are extremely important because the two publisher journal packages represent approximately 30% of our collections budget. Knowing the final numbers on the cost of these two packages could have a significant impact on the extent of other cuts that the library will need to make for FY17. We have compiled the feedback and done some initial analysis that will be of use in our contract negotiations. Thank you to all faculty, students, and staff who participated in the survey. In June – July 2016, the Libraries shared the titles lists of our Oxford, Sage, and Springer journal packages with the campus community. Over 600 members of our campus community reviewed the list, with 299 providing feedback, including over 300 comments on specific titles. As with the Elsevier/Wiley results, our Head of Collection Development will use this information to negotiate new contracts for accessing material from these publishers.. Working with campus administration to increase funding. We have had several small increases to address budget pressures, but we have also had to cut in other areas. Asking campus partners for one-time funding to meet the needs of a specific year. Most recently, the Department of Information Technology has generously provided one-time funding to assist with our current fiscal year shortfall. Gradually reducing or eliminating costs in areas such as staffing (including reductions in positions and the elimination of merit raises), operations, and one-time collection costs for materials such as books. Cutting subscriptions in consultation with specific departments, usually in exchange for adding another desired title. Last year we asked our students to vote on a library fee. Despite significant support, the fee did not pass. The Libraries’ collection budget was not spared the 2% give back that is required of all but a couple of campus units. The Libraries’ budget is not spared the 5% budget cut that all campus units are expected to accommodate in FY17. Budgets have been tight at Mizzou for many years. With limited sources of new funding, the university administration is finding it harder than ever to provide the Libraries with increased funding or one-time support to meet critical needs. The Libraries will continue to dedicate staffing and resources to maintaining a robust and rapid Interlibrary Loan service. Your subject librarian is available for consultation on any questions you may have about library services or collections. Other institutions are facing similar challenges. See below for some additional information about collections challenges faced by academic libraries. Innovations in scholarly communications, such as open access, are being explored by faculty in some disciplines. It is too early in the process for these to remedy our immediate situation, but the Libraries encourage you to learn about these innovations at: https://libraryguides.missouri.edu/oajournals. The Libraries will continue to maintain faculty request lists. If funding improves, we will work with faculty to identify priorities for re-instating subscriptions. We appreciate the work of the Campus Library Committee in articulating faculty concerns! You can always ask your subject librarian questions about what is happening in the Libraries. Include funds for library resources in grant applications. Consider costs of library support when developing new programs or positions. Become informed on Open Access and resist the commercialization of scholarly publication.